Here we go again, its the end of another year of Homebrewing and I’ve rattled off a fair amount of brews which are edging me ever closer to my Centenary Brew (100th) All-Grain / Full Mash brewday. 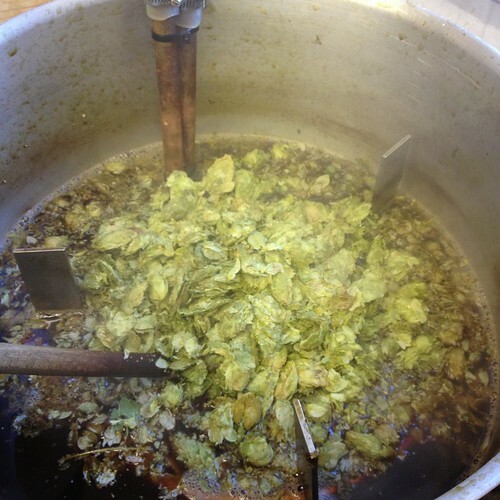 Its been a mad year with Brewers & Home-brewers eager to get their hands on any and all new hop varieties, 2013 is going to be the same… Home-brewers are increasing in numbers along with new Microbreweries, diversity in beer and brewing has never been so great in the UK. 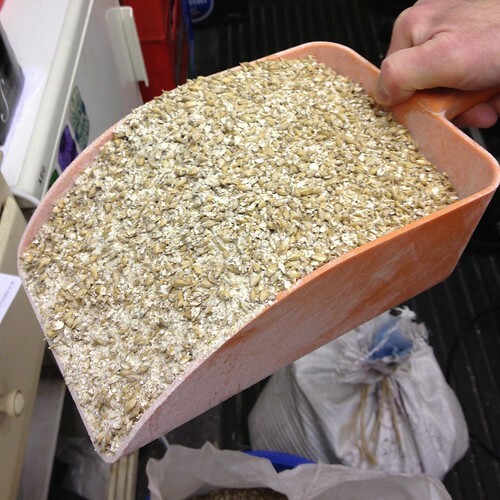 Homebrewers are using Hops from all around the world and an expanding range of Malts from the UK, Germany and Belgium are giving us an ever increasing pallet of flavours to meld together with an excellent range of yeast profiles. It feels to have been ‘Year of the Dry Hop’ for the last couple of years, but thats not to say every beer should be made this way (Even if it is rather entertaining), some things work better with light hopping and leave a complex blend of malts or interesting yeast to do the talking as @Lugsy51 has been doing with his current fetish for Saison & Rauch Beers. To start with the New Year’s Day Imperial Stout Brew-along was fun; then there was the Twitter #BlackIPAoff that a few of us did and met in MrFoleys, Leeds for a tasting and scoring to find a winner; the second NCB/Saltaire Brewery meeting and competition; the Homebrew highlight was attending the National Homebrew Competition in Bristol and helping out as a steward, it was a long but entertaining day. 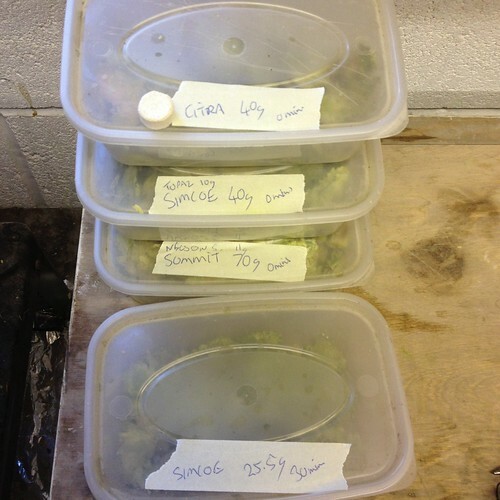 I seem to recall Vac-Packing quite a few kilos of hops too, though thats not really a highlight! This one requires another brew, tweaking for a little more smoke and maybe mash a degree cooler, then prime a bit heavier to give it a bit of extra sparkle in the glass. Just a touch more Chinook at the end with a little less Carapils and it should be about spot on. I’ll brew it again! 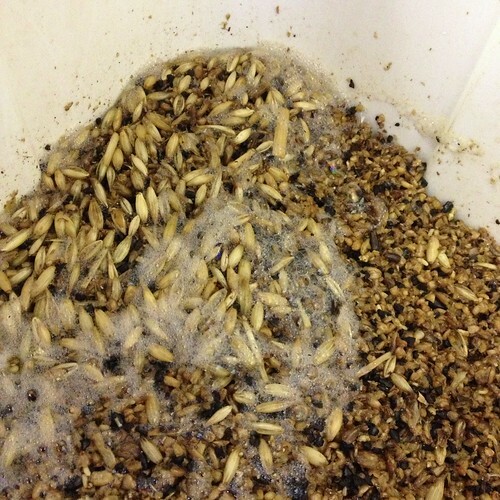 I hope the next crop of Nelson Sauvin has as much Catty-punch as when I brewed Ta Moko for the first time. 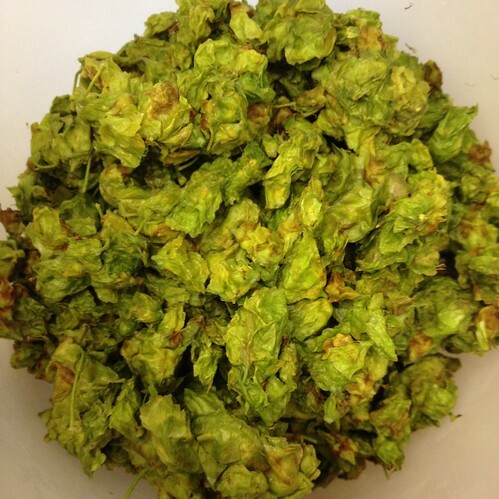 I will do another Heavy on the Dry Hops double IPA, I feel Hop pellets are the way forward with these bigger hoppy beers so as to save on the wort-loss that you get with whole hops. I shall brew a similar beer without the Liquorice as I believe the base beer to be a very solid stout. Re-brew with tweaks and also an IPA version with added Nelson Sauvin. 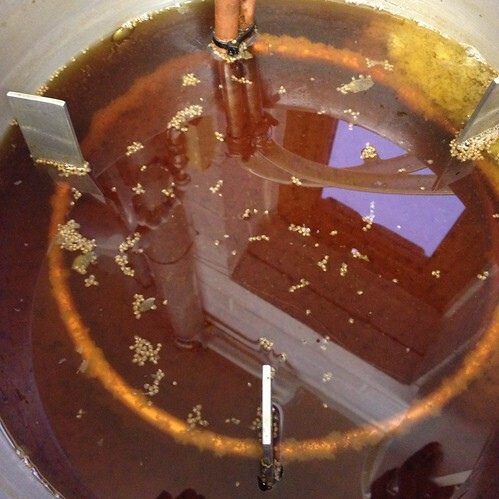 Well… There wasn’t much of this, and if you had a bottle you were bloody lucky, Massively Dry Hopped happiness. 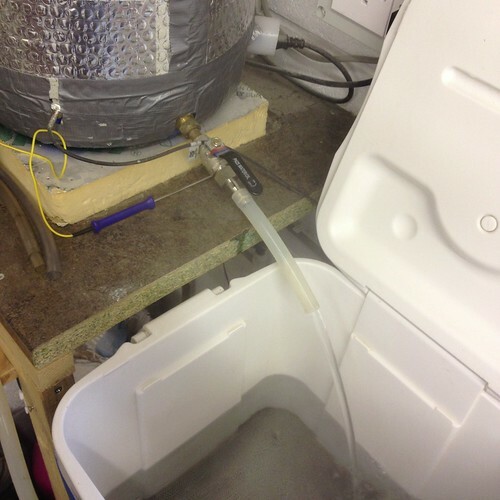 Yeah… you need a good Wit and I’ll do it again, maybe with a slightly different yeas as the WLP400 was annoying and had to be roused a lot to actually ferment! 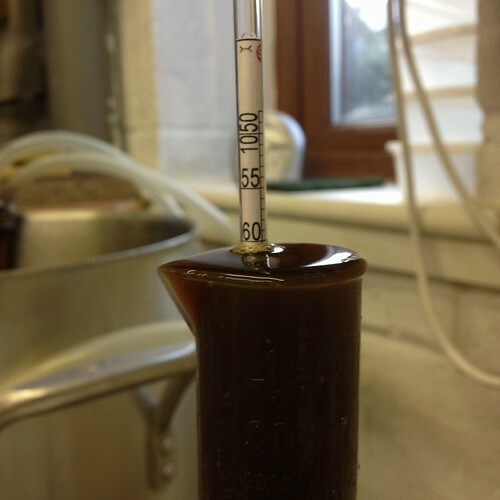 Ooo, Barleywine… and the Saltaire Yeast worked a treat, mouth-filling and satisfying, steady drinking and wholesome. I should do a re-brew as the yeast spoiled this one and I don’t think I got to appreciate the full hop character. Oh yes… this is definitely on the cards, tweaked or un-tweaked this is a great beer. 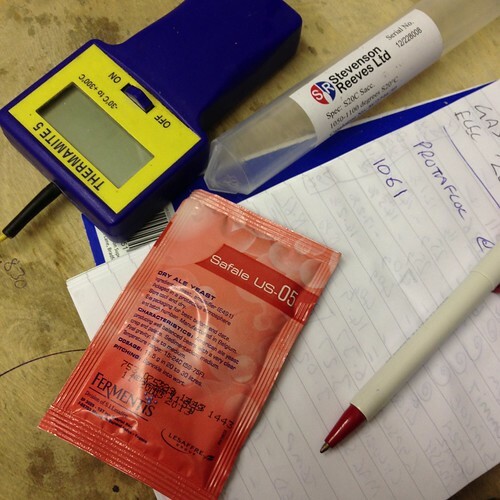 AG#74 – Is it ‘cos I is Black? I think there could be lots of Black IPA experimentation ahead with colour & roastiness being areas to keep a check on, it must be Black but the level of Roastedness is quite easy to turn this dark-but-not-dark beer into a hoppy Stout. Well, of course! Its nice to see how these strong dark beers develop over time. Last years review is here it encompasses ’09-’11 and there are still things on that list that could be on the coming years brew-plan. I’ll finish off the 50Litre Keg Boiler I’m building and get the electrics installed in the garage to plug the elements into, this should allow me to brew a bit more of the beers I like and also fill a Firkin with one brew. 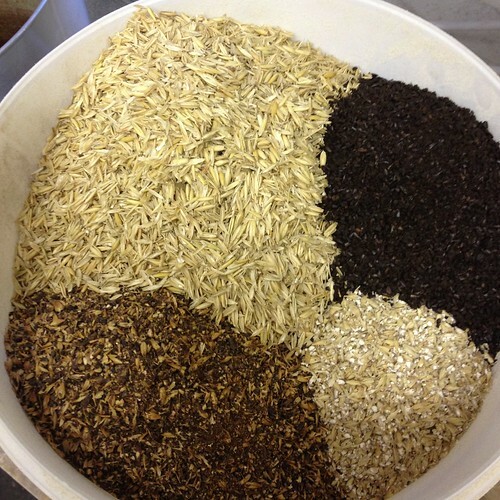 Things to Brew for: Thornbridge Homebrew Competition, the NCB & Saltaire Competition, the National Homebrew Competition. We need to have a get-together for a last years Imperial Stouts, that has messy written all over it! 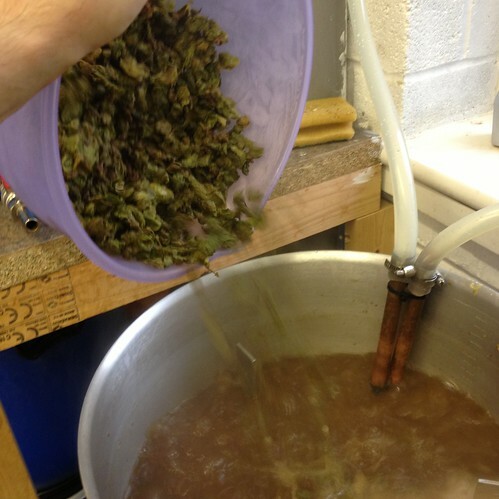 Buy a good few kilos of a few hops and spread the love…. 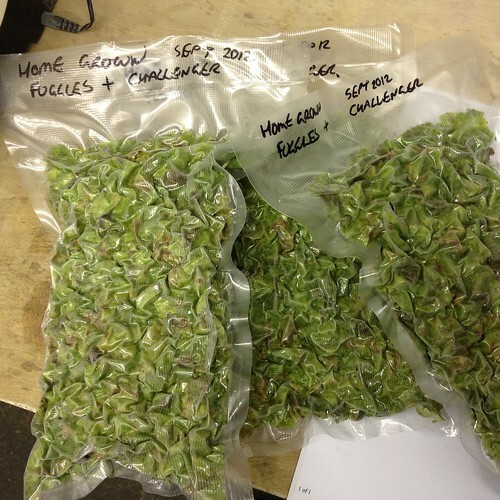 Green Hop Home-Grown – OK this was almost an impromptu brewday, I tossed a fair few ideas around before coming to my senses and sticking to the program… These hops were picked and Vac-packed / frozen back in early September and its high time I got them used. So… this is hopefully a solidly English Bitter, no frills, no in yer-face American hops, a good dash of sweet toffee-like Crystal malts, using a single addition of Goldings for the bittering. All in all a pretty easy brewday, not the earliest start but it is my only ‘lazy’ day this week! I keep forgetting to take a Hydrometer shot, but rest assured it was 1049 and I liquored back 1.7L to 1045, ending up with 21.5L in the FV. 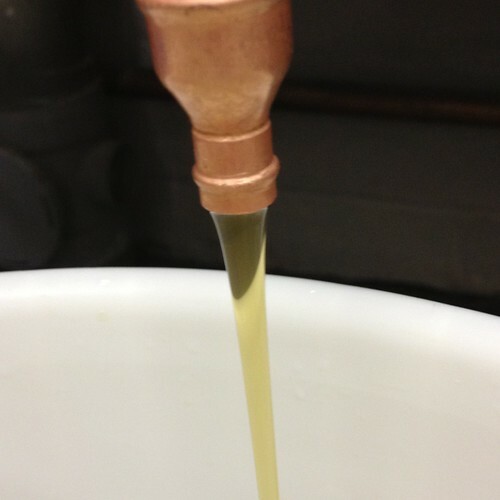 There were some pretty vegetative smells coming from the copper with over 1kg of Green Hops going in but the wort ended up tasting solidly like it had been hopped with Fuggles & Challenger rather than Lettuce and Sprouts! 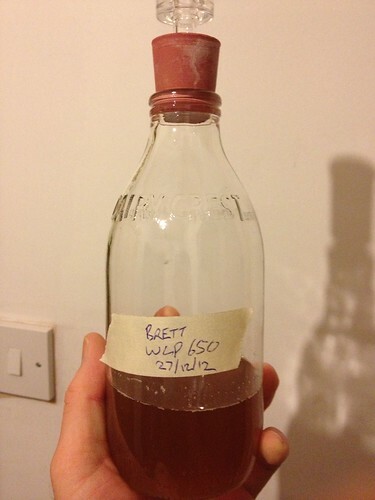 *Bottled 12th Jan ’13 – with 85g White sugar, still tastes green vegetative, like snapped green plant stems… didn’t bottle it all left some for cleaning the plug hole! (Thats a first for me). 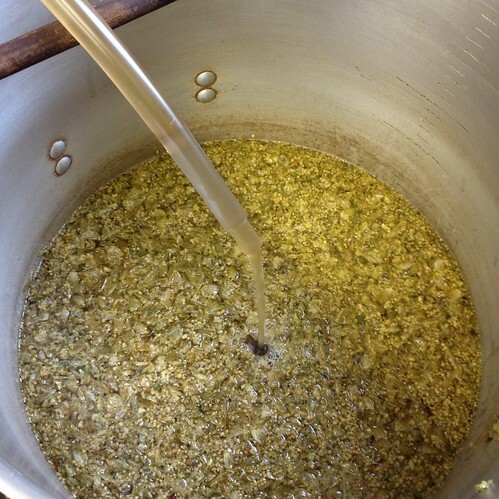 *14th Jun ’13 – some months later, the green vegetative has mellowed and I’m actually having a pint of this! 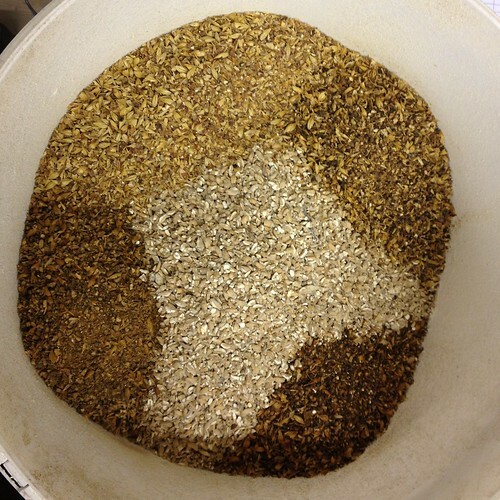 The Malt body is pretty much what I was aiming for and its clear as a bell.